It's a Mom Thing Reviews & More! : TTPM Spring Showcase and Our Top Picks! TTPM Spring Showcase and Our Top Picks! Last week Gina and I were lucky enough to attend the TTPM Spring Showcase. 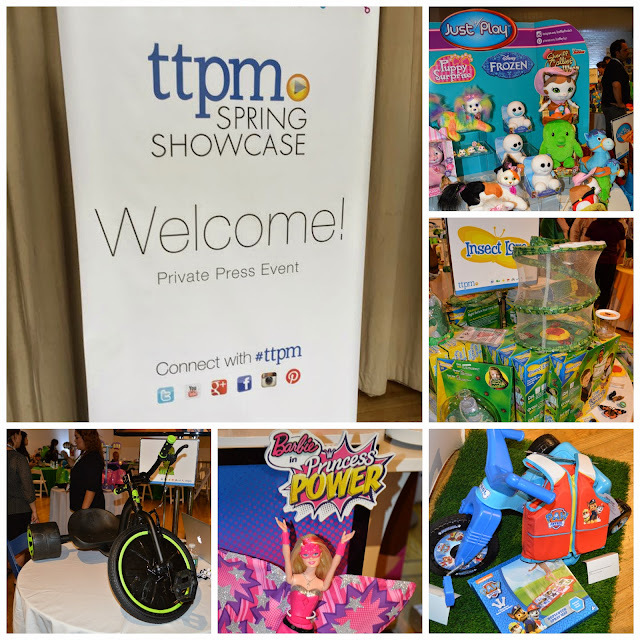 The TTPM Spring Showcase was a one day media event that brought together some of the biggest names in toy, pet, and family entertainment industries and highlight the season's best in play! We were able to learn all about and play with some of the seasons hottest toys, outdoor items, and pet toys! Some of the brands that we were able to interact with and view products from include Hasbro, Leapfrog, VTech, Mattel, Nickelodeon, and more! You can view the 2015 TTPM Summer Playlist HERE! Below are some of our top picks from the event!